Since July 2007, I have been blogging, almost daily, to my Medical Futility Blog at medicalfutility.blogspot.com. This blog is focused on reporting and discussing legislative, judicial, regulatory, medical, and other developments concerning medical futility and end-of-life medical treatment controversies. Popularity: The blog has received over three million direct visits. Plus, it is distributed through RSS, email, Twitter, and republishers like WestlawNext, Bioethics.net, Wellsphere, and Medpedia. 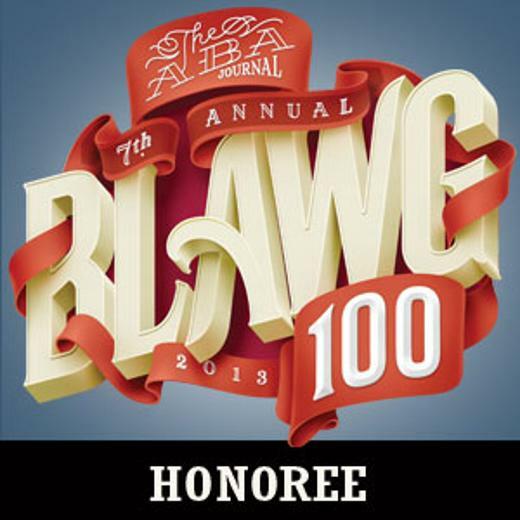 Recognition: In December 2013, the ABA Journal recognized this blog in its 7th annual Blawg 100, as one of the editors' favorite 100 law blogs. The blog was also recognized in 18(10) Internet Law Researcher (Nov. 2013). Feedback: I appreciate and value receiving your comments and suggested content. I also blog original content at Bioethics.net.